Lieutenant John Huddleston Taber was a New Yorker assigned to the 168th ""Third Iowa"" Infantry Regiment of the American Expeditionary Force's 42nd ""Rainbow"" Division during World War I. His diary provides a detailed narrative of a young officer maturing through his war experiences, from the voyage across the submarine filled Atlantic, to training in France, to front line combat. 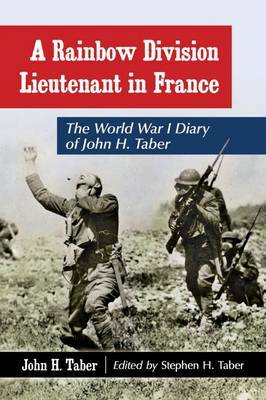 In a clear, unaffected voice, Taber records his dealings with superiors and enlisted men, billets in French and German towns, life in the tenches, intense shelling, machine gun fire, gas warfare, leaves to Paris, the occupation of Germany, and his return to New York.